This is about a restaurant in Germany where the portions can be large, very large. For some reason, this is considered to be a challenge that needs conquering. The truth is, we are designed to eat little and often. 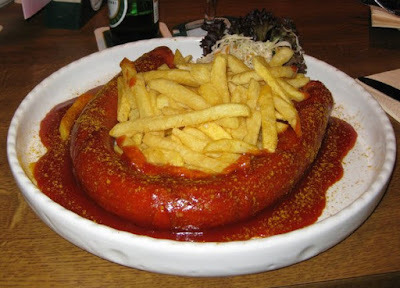 Over-sized portions are not good for us. Repeatedly overeating is very bad for our health. 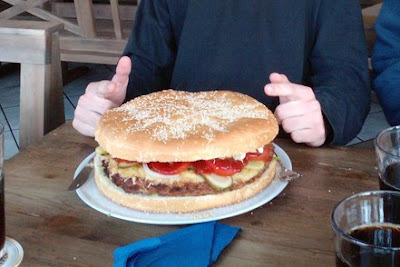 It is an XXL restaurant in the Frankfurt area. 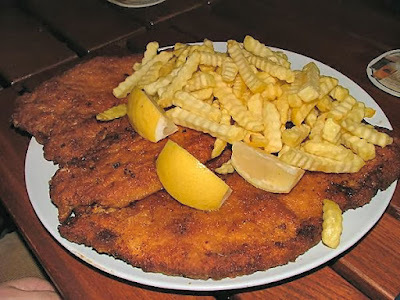 Steaks can be over a kilo, as can chip portions. Apple wine up to 1.7 litres, beer up to 2 litres and Bacardi Cola up to 8 litres according to the website. If I drank that much, I wouldn't have room for anything to eat. Of course, normal portions are available and that is what I would be choosing.